Take a super jeep tour and discover everything about the hidden mountains surrounding the town of Vík. 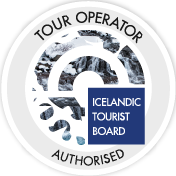 In this super jeep tour, you will visit the hidden mountains that surround the town Vík. Very few people roam around the mountains, but many stories can be found there that have been passed down through the generations. This tour is truly a unique experience made possible only with a local guide. From Vík, you will drive down a road that previously served as Route 1 from 1934-1955. A flood (possibly due to the Katla volcano) destroyed the bridge, resulting in the road being moved to its present location. Along the way, you will venture up into the high mountains. There you will visit caves and learn about their history. You will also experience “force stones”, stop at a mountain campsite, and visit a narrow canyon with a beautiful, high waterfall, where we will take a one-hour hike. Please dress in warm layers and bring sturdy hiking shoes along.